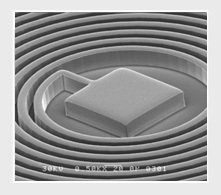 Futurrex provides solutions for medical device, genetic testing, microchannel cooling and sensor companies which require low-cost processing techniques to create microscopic channels for gradual or mass fluidic diffusion and sampling. 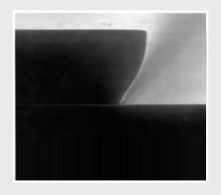 Our solutions allow a customer to create microchannels by additive, subtractive or embossing techniques. 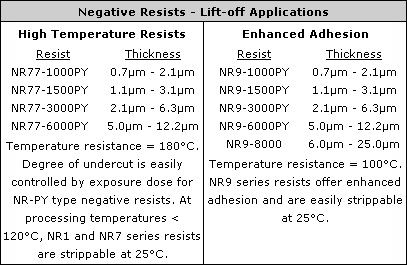 NR71-P series negative resists for mask applications in dry etching into glass, plastics or a variety of other substrates. 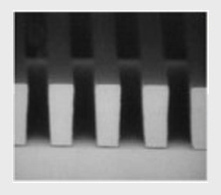 NR2-series negative resists for plating high-aspect ratio patterns. RD6 series resist developer for quick resist development, universally compatible with the development of positive or negative resists. RR41 & 5 series chemicals for efficient and unique characteristics and performance during resist removal, including the safe removal of various temporary coatings, while being 100% compatible with Si, III/V substrates, II/VI substrates, Indium Tin Oxide (ITO) and all conventional metals including Cu, Ti, TiW, Au, Pt, Al, Ni, Ag-alloys, etc.